Universal Studios Home Entertainment will release Back to the Future I, II and III as a 25th Anniversary Trilogy on Oct. 26, 2010. The newly restored high-def Blu-ray Disc release will contain over two hours of bonus material including 16 deleted scenes, behind-the-scenes footage and “Tales from the Future,” a new six-part retrospective documentary. 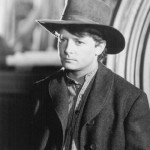 The Steven Spielberg-produced films spanned five years (1985-1990) and earned close to $1 billion in revenue. 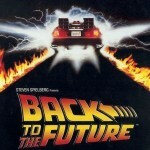 Back to the Future (1985) won an Academy Award for Best Effects, Sound Effects Editing. 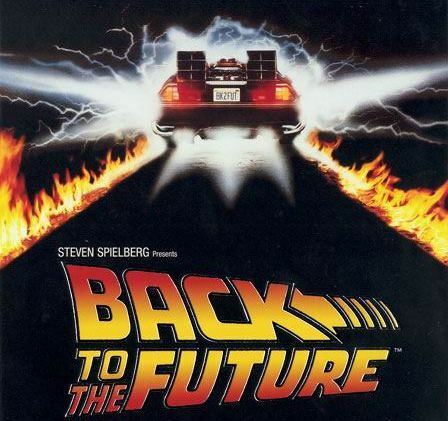 All three films were directed by Robert Zemeckis and co-written by Zemeckis and Bob Gale. Now Available! 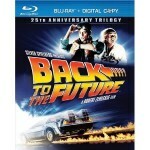 Order Back to the Future: 25th Anniversary Trilogy on Blu-ray Disc with Digital Copy. learn more about their favorite film without ever leaving the movie. is shown to complete the correlation. — My Scenes: Bookmark your favorite scenes from the movies. content on the go, anytime, anywhere. pocket BLU(TM)-enabled titles available and coming to Blu-ray(TM). first television screening of the Back to the Future. sequence and completing the Trilogy. 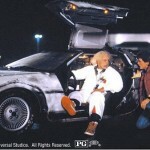 — The Test of Time: Back to the Future becomes a phenomenon! why these beloved movies live on. documentary that takes a look back in time. vintage and historic first look at the making of all three films.